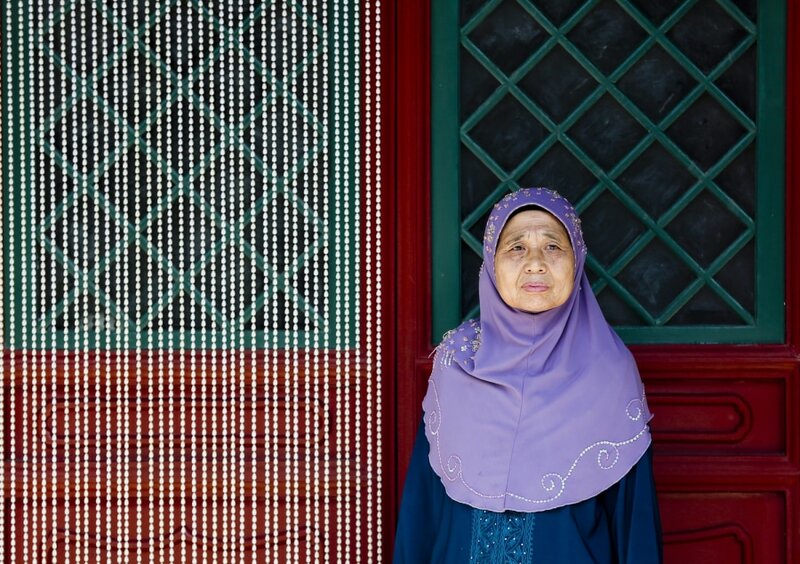 A Muslim woman is seen at the female prayer hall following prayers for Eid al-Fitr, which marks the end of the holy month of Ramadan at the Niujie Mosque in Beijing, China, Aug. 19. 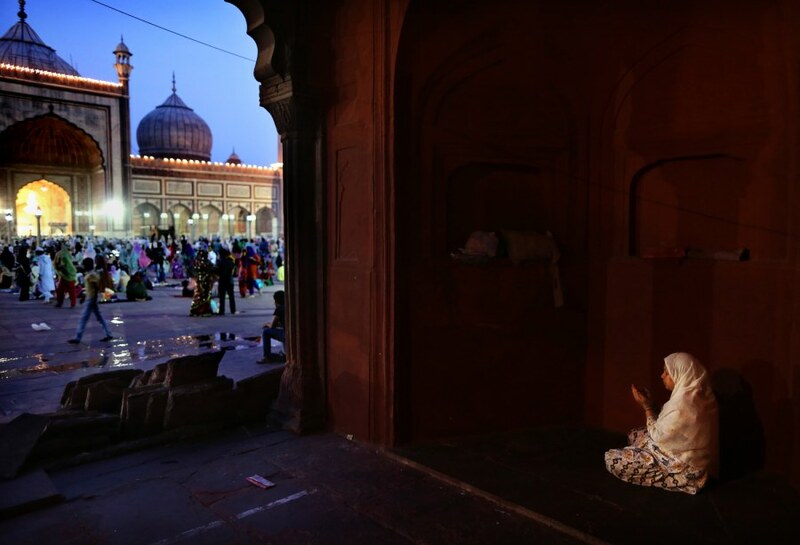 An Indian Muslim woman prays after breaking fast on the last day of the holy month of Ramadan before the Eid holiday, at the Jama Masjid in New Delhi, India, Aug. 19. Men shower in a traditional Turkish bath to prepare for the Eid al-Fitr festival, in Sanaa, Yemen, Aug. 18. 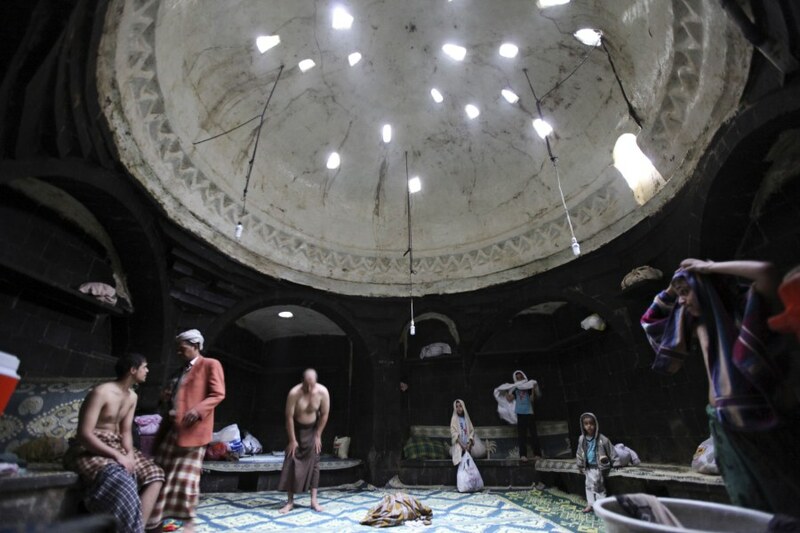 People shower in a traditional Turkish bath to prepare for the Eid al-Fitr festival, in Sanaa, Yemen, Aug. 18. 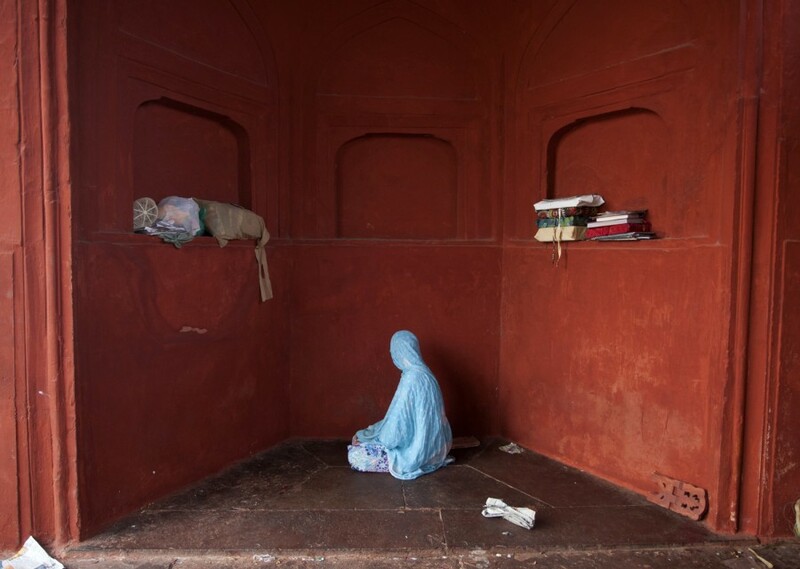 An Indian Muslim woman offers prayers before breaking her Ramadan fast in New Delhi, India, Aug.18. 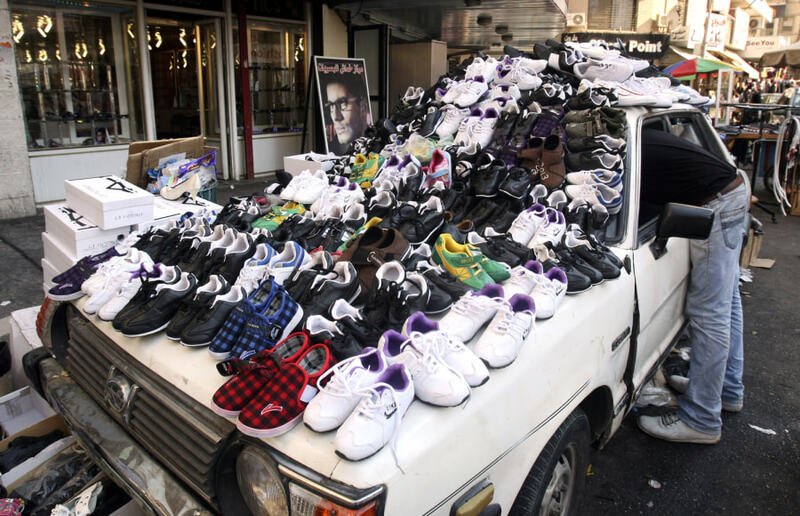 A Palestinian vendor displays shoes on a car in the middle of the market during preparations for the Eid al-Fitr feast, which marks the end of the Muslim month of Ramadan, in the city of Nablus, West Bank, Aug. 18. Traditionally Muslims buy new clothes and shoes for the Eid al-Fitr, which is the culmination of the month-long period of fasting during which practicing Muslims around the world abstain from food and water from dawn to dusk. 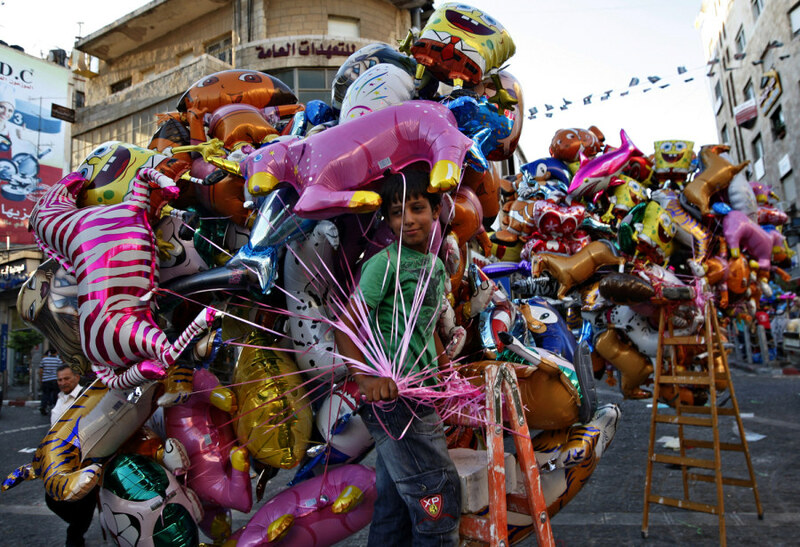 A Palestinian boy sells balloons in preparation for the Eid al-Fitr festival, on the last day of the Muslim holy month of Ramadan in the West Bank city of Ramallah, Aug. 18. 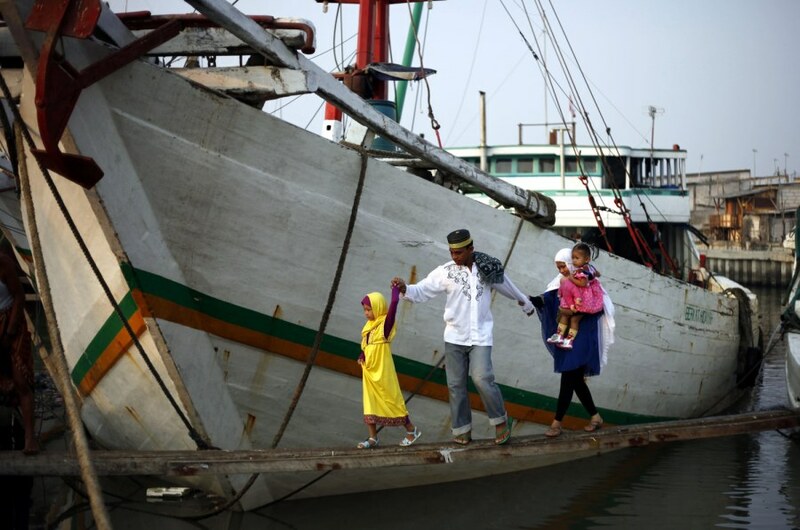 Indonesian Muslims cross a bridge as they unboard from a traditional boat to attend Eid al-Fitr prayers at Sunda Kelapa port in Jakarta, Indonesia, Aug. 19. 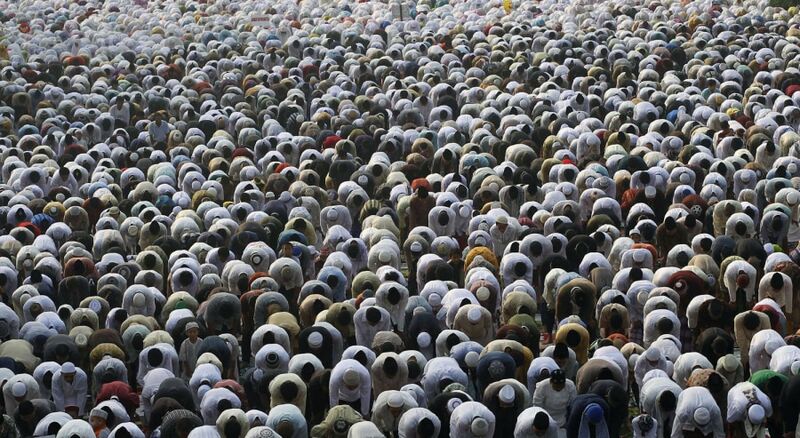 Muslims gather for mass prayers to celebrate Eid al-Fitr in Jakarta, Indonesia, Aug. 19. 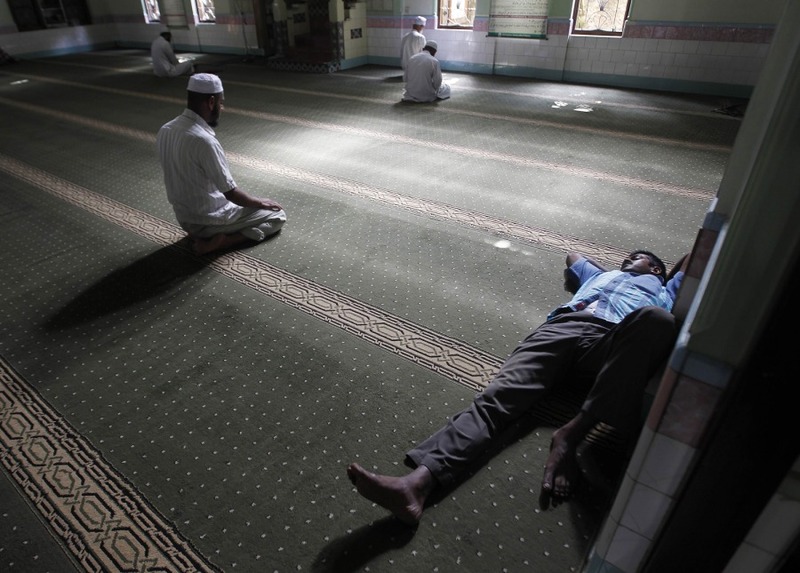 A Muslim devotee sleeps as others pray at a mosque in Kandy, Sri Lanka, Aug. 18.